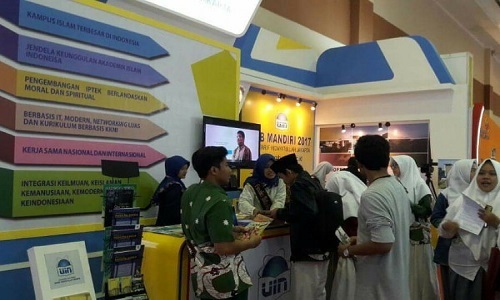 FEB Theater, UIN News Online – The presence of syariah capital market provides an opportunity for Muslims and non-Muslims who want to invest their funds in accordance with sharia principles that provide peace and confidence for halal transactions. Various products are offered in syariah index in JII and ISSI such as stocks, bonds, sukuk, mutual funds sharia, and so on. Present at the event, Dr. Hasanudin MA (Deputy Chairman of the MUI Fatwa Commission), Tri Aji Pamungkas (Coordinator of Jabodetabek IDX), Deri Yustria SE MBE (Member of Indonesia Stock Exchange), Sutisna Amijaya MBE (MNC Securities Coordinator), Endra Kasni Laila MSi (Secretary of Sharia Economics Department) as well as civitas academica of FEB UIN Jakarta. 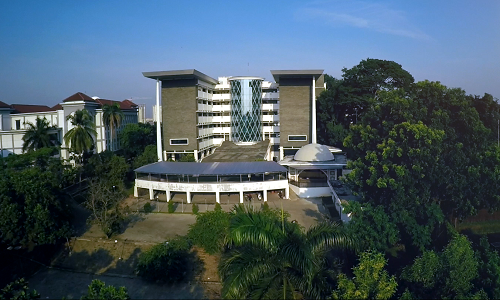 Imam Irsyad as the Head of LISENSI UIN Jakarta to UIN News Online team said that through this activity LISENSI wants to give a significant contribution to the national economy that protect the public interest. On the same occasion, Laila reminded that the Islamic capital market is not a separate system to the capital market system as a whole. In general, Islamic Capital Market activity has no difference with the conventional capital market. 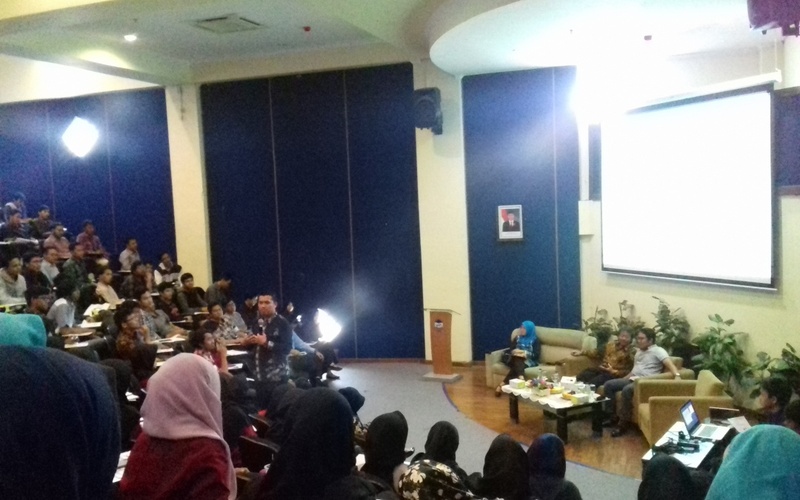 “But there are some special characteristics of Islamic capital market, which are the products and the transaction mechanism do not againts Islamic principles,” she said. According to Deri, the capital market is one of the important pillars in the world economy today. Many industries and companies use capital market institutions as a medium to absorb investments and media to strengthen their financial position. Meanwhile, according to Hasanudin, investment activities in Islam can be categorized as an economic activity that belongs to muamalah activity, which is an activity that regulates the relationship between humans.